Hi, fashionable people, have I got news for you! 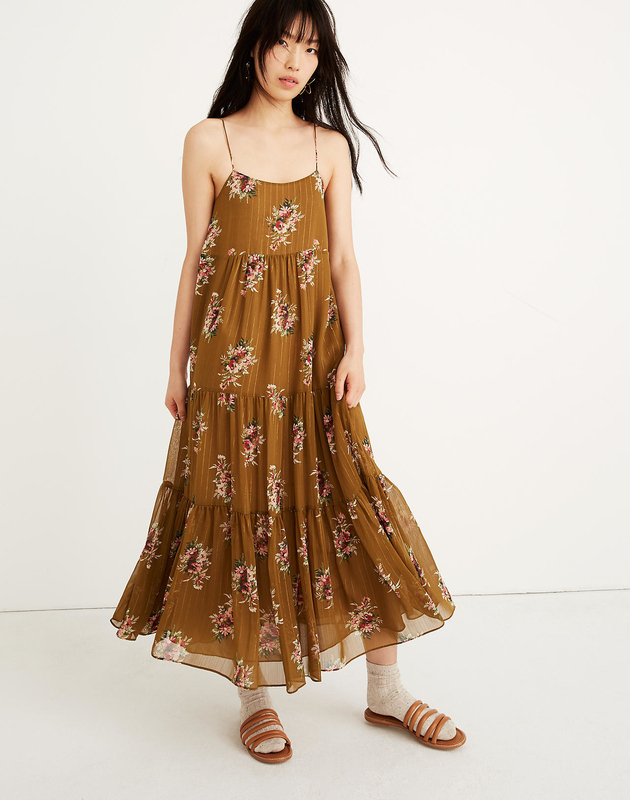 Madewell has a big sale to tempt your online shopping obsession — in other words, you can earn 20% off purchases of $100+ or 30% off purchases of $200+. Just use promo code SPEND2SAVE at checkout anytime from 4/2–4/8! – This promo is only valid in the US. Sorry, international folks! BTW, since there are two tiers of saving and your cart will change as you add more items, I listed the ~original~ prices below. 1. A cropped wrap top that'll always do you a ~solid~ when it comes to putting together an outfit — since it comes in six colors, it goes with everything! You can also buy this style as a mini dress! 2. 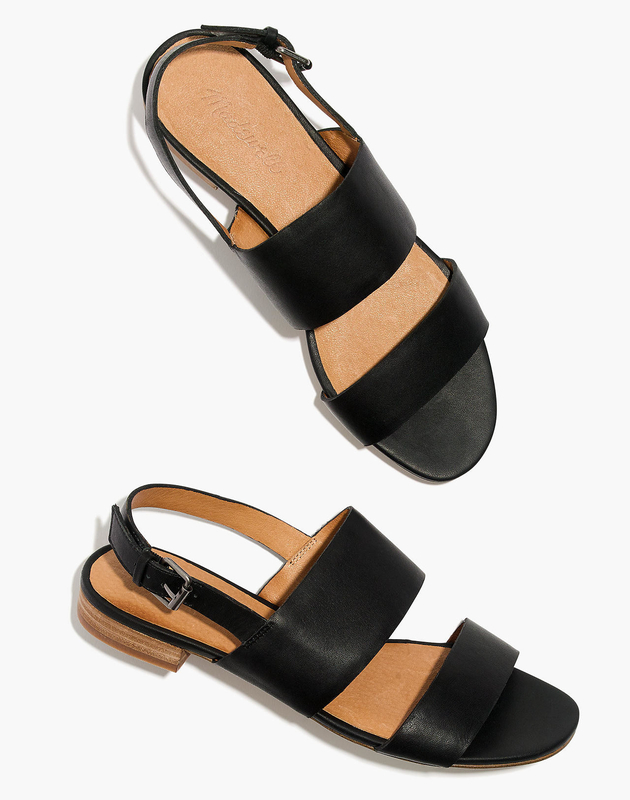 A pair of classy but casual slingback sandals with an added layer of padding for all-day comfort — because we've got places to be, to-do lists to finish, meetings to crush, and many coffee refills to make! 3. 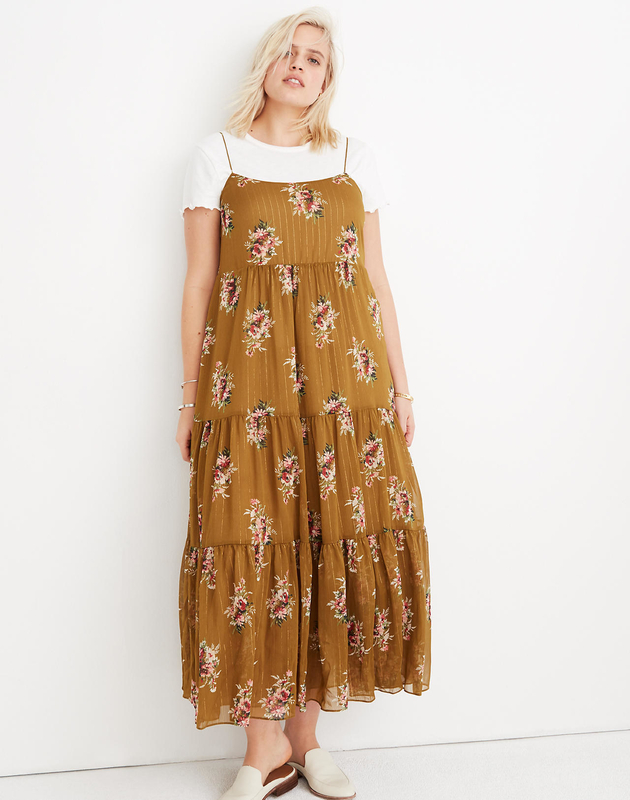 A darling corsage-adorned tiered dress that'll look gorgeous swinging amongst the cherry blossoms or whatever foliage that sprouts up near you. 4. A swingy midi skirt with pockets, which is all you need to know. But there are other lovely details like sewn-in pleats at the waist and buttons all down the front, so you can show however much leg you want. 5. A low-back one piece swimsuit with a floral dotted pattern that declares, "Time to dip our toes in the water!" You can also get the same pattern/design as a bikini! 6. Suede heeled sandals that were made for parties and festivities that make you want to kick your heels up — as Rihanna would say, "Please don't stop the music!" 7. 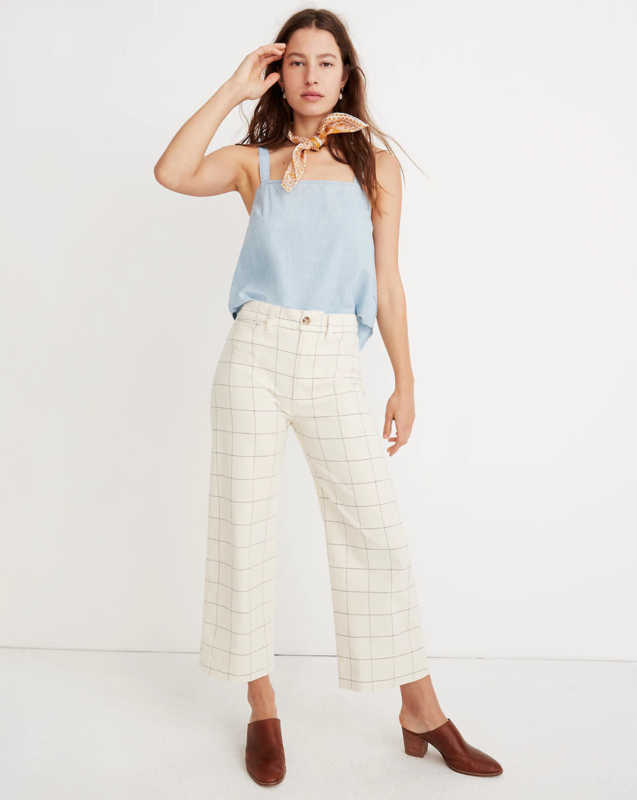 Windowpane wide-leg cropped pants that are here to serve lewks and work Every. Dang. Angle. You. Have. The Emmett Wide-Leg Crop Pants style is also available in lots of different patterns! 8. A classic military-style denim jacket you'll wear this year, next year, the following year...well, you get it. We love a timeless wardrobe staple. 9. A ruched-waisted mini dress that'll make you starry-eyed upon the very first encounter — so much in fact that you'll be sashaying in a happy daze everywhere you go. This pattern is also available as a cami slip dress! 10. 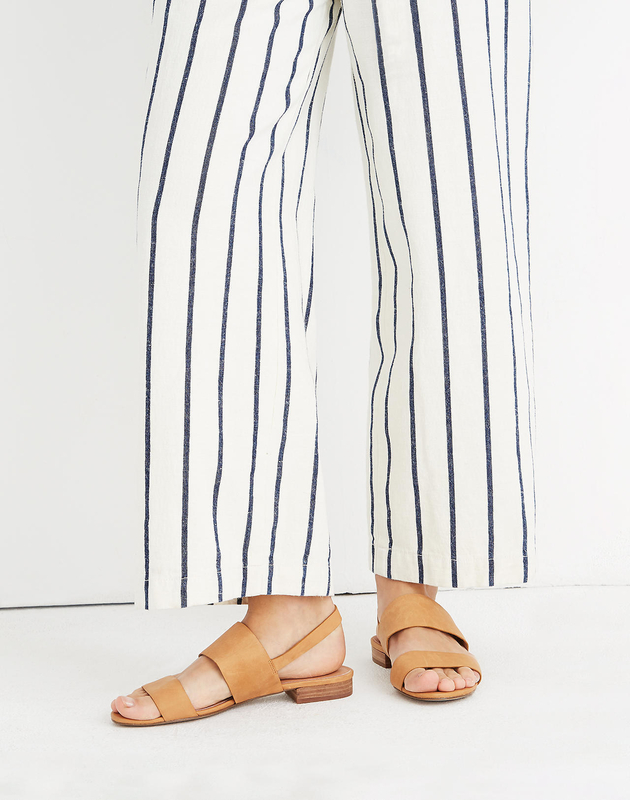 A striped knit pajama set made out of extra soft material for lots of lazy lounging days ahead — because sometimes even the nice weather can't tempt ya' to leave the house, ok?? 12. 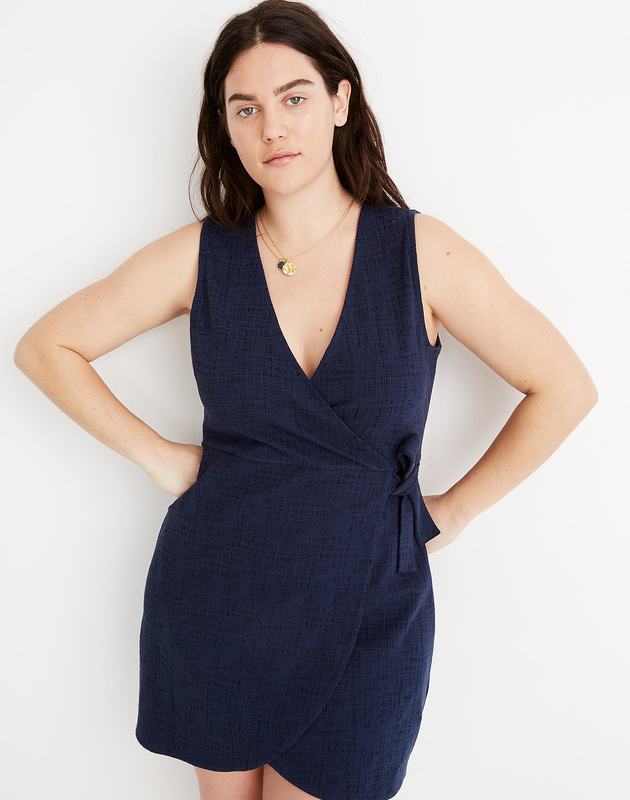 A soft-as-heck side-tie dress for all of the brunch dates you have to begrudgingly drag yourself out of bed for — because if you can't be in pajamas, you're def throwing on a comfy dress that still looks super cute and pulled together. 13. A stylish and highly functional anorak raincoat to keep rainy days from, well, raining on your otherwise joyous parade! 14. A breezy seafoam or blush coverall jumpsuit for sunny days spent cruising around on a boat — or just picnicking because that's easier to plan/manage and involves mandatory snacks. 15. Leather ankle booties that'll always ~point~ you in the right direction — for instance, towards your shopping cart with them in tow. 16. A lovely wrap maxi embellished with ruffled sleeves and beautiful corsages so you can figuratively take yourself to prom any day you'd like — because it's all about romancing yourself, ya' feel? 17. A ballon-sleeved butterfly peasant blouse to ~elevate~ your top game to a whole 'nother level, because these wings were built to explore new styles and trends! 18. A pair of distressed high-waisted shorts that'll beg to be taken out and worn every weekend — they're a little self-centered, but you'll probably bend to their demands anyways. 19. A cute scoopneck dress to complement your ~colorful~ personality — it's the perfect everyday piece, whether you're going to work (you can also pop a tee underneath!) or to the beach. 20. High-rise knit leggings I barely even have to do any convincing for, tbqh: they're soft, opaque, stretchy but fitting, sturdy, and you'll never want to take them off — plus, they're inspired by the Japanese concept of "one-mile wear," so you can be *even more* assured that they're superb for all-day wear. 21. 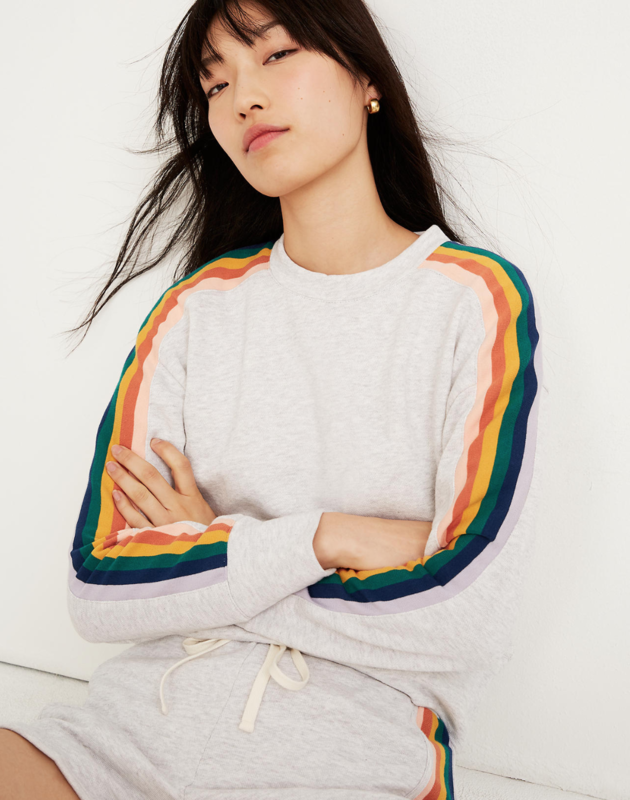 A rainbow-accented sweatshirt and shorts set that'll make staying in even more comfy and cheery than it already is — or simply slip on a pair of jeans or leggings to convert the sweatshirt into a casual going-out outfit. As a reminder, all the prices listed were original prices, so just chuck in the promo code SPEND2SAVE at checkout for your snazzy discount!